Topic: Grover Cleveland: "Proclamation 394—Withdrawl of Lands for the Teton Forest Reserve, Wyoming," February 22, 1897. Online by Gerhard Peters and John T. Woolley, The American Presidency Project. 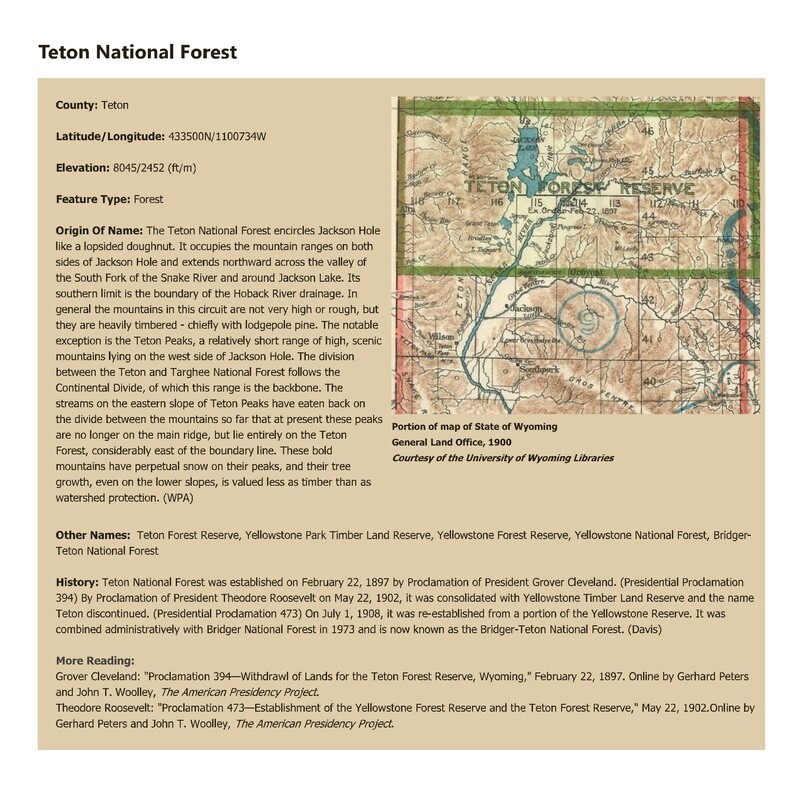 ; Theodore Roosevelt: "Proclamation 473—Establishment of the Yellowstone Forest Reserve and the Teton Forest Reserve," May 22, 1902.Online by Gerhard Peters and John T. Woolley, The American Presidency Project.